Fluoride and Arsenic in drinking water are a growing concern for many and AlkaViva has created a water filter the external UltraWater Fluoride Arsenic Shield. 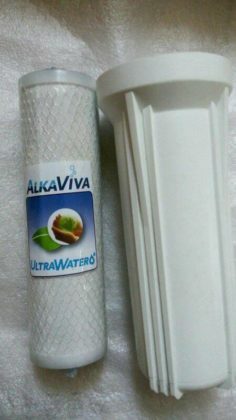 By using the newest cutting edge techniques, AlkaViva has created an external water filter to reduce Fluoride and Arsenic to very low levels in laboratory testing. 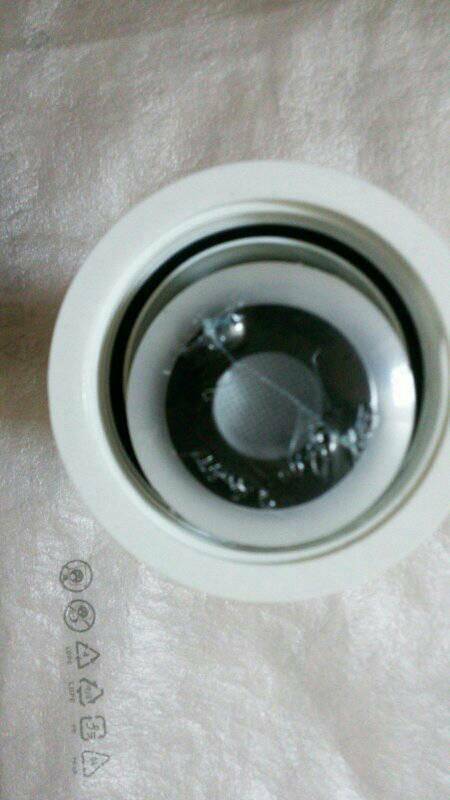 Please note: Intended for use outside of your AlkaViva water ionizers,an external water filter housing is needed. 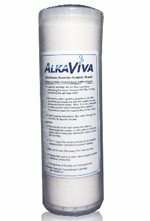 AlkaViva external UltraWater Fluoride Arsenic shield is good for approx 700 gallons/2800 liters of filtered water . The ONLY domestic water filter to remove lead, arsenic, fluoride, and other harmful contaminants with 99.9% accuracy. The ONLY water ionizer filter to be tested in an independent US laboratory certified under the strictest EPA/ANSI protocols and NSF Standards 42 and 53. The UltraWater filter uses the highest quality medias available and then transforms them into solid forms to literally block contamination from passing through and ending up in your glass. This creates a greater contact time with the water and removes much higher percentages of water contamination than traditional loose media beds. The UltraWater Filter offers superior removal of chlorine, chloramines, disinfectant byproducts, VOC’s, pharmaceuticals, and heavy metals such as mercury, lead, nickel and iron (most to non-detectable levels in laboratory testing – UltraWaterResults). In addition it greatly improves water taste and odor giving you a great tasting and clean glass of water. 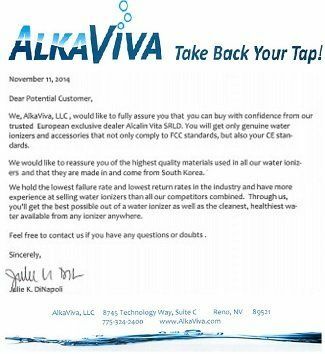 AlkaViva is glad to offer you the opportunity to take back your tap and use the most advanced water ionizer water filter available in our industry. Only AlkaViva offers UltraWater filtration Technology that removes most water contaminants to non detectable levels. Don’t we need fluoride ?! NO. It is now well established that fluoride is not an essential nutrient. This means that NO human disease ““ including tooth decay ““ will result from a “deficiency” of fluoride. Fluoridating water supplies is therefore different than adding iodine to salt. Unlike fluoride, iodine is an essential nutrient (the body needs iodine to ensure the proper functioning of the thyroid gland). No such necessity exists for fluoride. As a general rule, the only fresh water with high levels of fluoride (other than waters polluted by fluoride-emitting industries) is water derived from deep wells. Rather than being something to celebrate, high levels of naturally occurring fluorides have wreaked havoc on tens of millions of people’s health around the world. People consuming water with naturally high levels of fluoride have been found to suffer serious health ailments including disfiguring tooth damage, bone disease, ulcers, reduced IQ, thyroid disease, and infertility. Because of this, international organizations like UNICEF assist developing nations in finding ways of removing fluoride from the water.Thankfully, most fresh water supplies contain very low levels of fluoride. The average level of fluoride in unpolluted fresh water is less than 0.1 ppm, which is about 10 times less than the levels added to water in fluoridation programs (0.7 to 1.2 ppm). The frequent claim, therefore, that “nature thought of fluoridation first” does not withstand scrutiny. Where does the fluoride added to drinking water come from? The main chemicals used to fluoridate drinking water are known as “silicofluorides” (i.e., hydrofluorosilicic acid and sodium fluorosilicate). Silicofluorides are not pharmaceutical-grade fluoride products; they are unprocessed industrial by-products of the phosphate fertilizer industry. Since these silicofluorides undergo no purification procedures, they can contain elevated levels of arsenic – moreso than any other water treatment chemical. In addition, recent research suggests that the addition of silicofluorides to water is a risk factor for elevated lead exposure, particularly among residents who live in homes with old pipes. What are the risks from swallowing fluoride?